A summary and analysis of more than 50 predictions of the amplitude of the upcoming Solar Cycle 24 is presented. All of the predictions were published before solar minimum and represent our efforts to anticipate solar maximum at ever-earlier epochs. The consistency of the predictions within their assigned categories is discussed. Estimates of the significance of the predictions, compared to the climatological average, are presented. Biesecker, D.: 2007, The Solar Cycle 24 Prediction Panel, Consensus statement of the Solar Cycle 24 Prediction Panel, Released March 2007. http://www.swpc.noaa.gov/SolarCycle/SC24/. Euler, H.C. Jr., Smith, S.W. 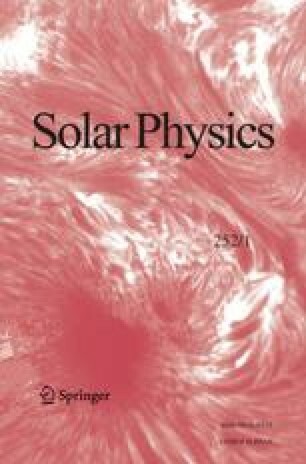 : 2006, Future solar activity estimates for use in prediction of space environmental effects on spacecraft orbital lifetime and performance. http://sail.msfc.nasa.gov/current_solar_report/CurRpt.pdf. Results in table are from the September 2006 report. Janssens, J.: 2005, Solar Cycle 24: Overview of predictions on the start and amplitude of a new solar cycle. Accessed as http://members.chello.be/j.janssens/SC24pred.pdf. Janssens, J.: 2006, Solar Cycle 24: Overview of predictions on the start and amplitude of a new solar cycle. Accessed as http://members.chello.be/j.janssens/SC24.html. Maris, G., Oncica, A.: 2006, Solar Cycle 24 forecasts. Sun Geospace 1. http://www.stil.bas.bg/IHY/forms/SUN_GEO200601.html. NOAA: 2006, List of sunspot maximum and minimum 1610-present. Accessed as ftp://ftp.ngdc.noaa.gov/STP/SOLAR_DATA/SUNSPOT_NUMBERS/maxmin.new. NOAA: 2007, Press release accessed as http://www.noaanews.noaa.gov/stories2007/s2831.htm. Tritakis, V., Mavromichalaki, H., Giouvanellis, G.: 2006, Prediction of basic elements of the forthcoming solar cycles 24 and 25 (years 2005 – 2027). In: Solomos, N. (ed.) Recent Advances in Astronomy and Astrophyiscs: 7th International Conference of the Hellenic Astronomical Society. AIP Conf. Proc. 848, 154–162. doi: 10.1063/1.2347972.